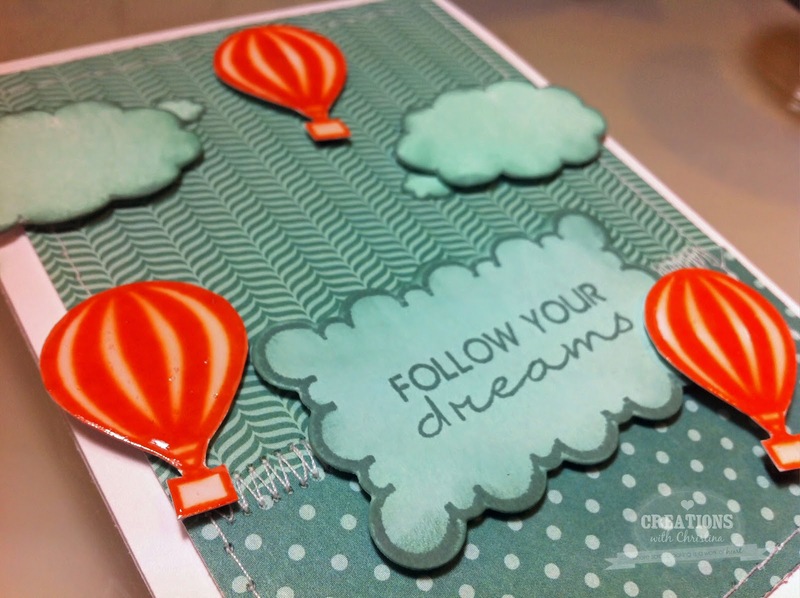 I started off with stamping out the clouds in Paper Trey's Aqua mist ink and then used the outline stamp in Ocean Tides ink. 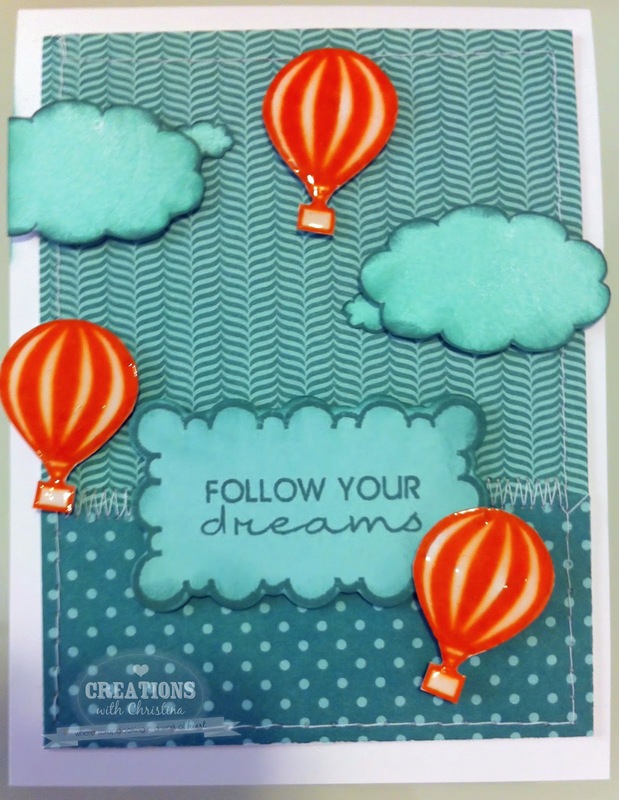 The hot air balloons are done on white card stock with Terracotta tile ink. When I added the glossy accent the color ran a little but I actually like the look. The sentiment is from Paper Trey Inks Fillable Frames #3 stamp and die set and I also used Pebbles Sunnyside pattern paper from the 6x6 pad, added some sewing and I was done. Hope you liked today's card. The clouds came out wonderful and I really like the hot air balloons, great card! You come up with some really great ideas!! Cute card. Christina this is a really cute card. I love the hot air balloons...pretty colors too!! !